Mr. Beatty has had a long career in public and private management and economic development. In 1994, after more than 22 years with the Detroit Fire Department, he retired as Deputy Fire Commissioner. He was the first African-American to hold that position in the department’s history. After leaving DFD, Mr. Beatty joined Detroit’s Wadsworth Community Center as executive director. A former Greektown Casino shareholder and a former member of the Greektown Casino Management Board of Directors, he currently serves as a board member of several organizations, including the NAACP, the Downtown Detroit Partnership, Detroit Economic Growth Corporation, Detroit Riverfront Conservancy, Health Alliance Plan, Campus Martius, and the Music Hall. He is chairman of the Coleman A. Young Foundation. 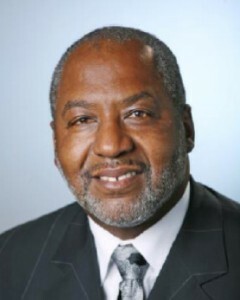 From 1995 to 2010, Mr. Beatty served as chairman on the City of Detroit Board of Zoning Appeals. He developed Gateway Marketplace, a 350,000-square-foot shopping center, which is Detroit’s first major retail center in more than 40 years. He’s working with Magic Plus Development on a multi-use revitalization of 160-acres at the former Michigan State Fairgrounds. Mr. Beatty studied urban management at California Coast University and is a graduate of the National Fire Academy Executive Development Program.